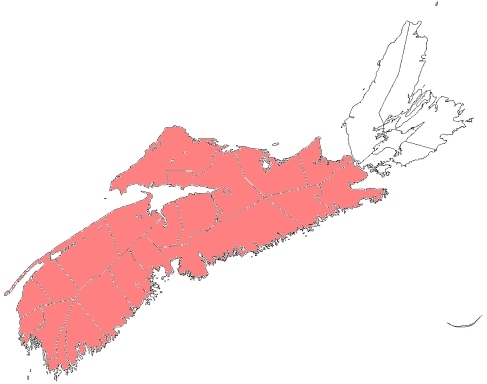 The native population of moose in Nova Scotia is limited to approximately 1000 individuals in isolated sub-populations across the mainland. There has been a population decline of at least 20% over the past 30 years and extensive reductions in distribution and population size have occurred over more than 200 years, despite extensive hunting closures since the 1930's. The decline is not well understood but involves a complex of threats including: over harvesting, illegal hunting, climate change, parasitic brainworm, increased road access to moose habitat, spread of white-tailed deer, very high levels of cadmium, deficiencies in cobalt and possibly an unknown viral disease. 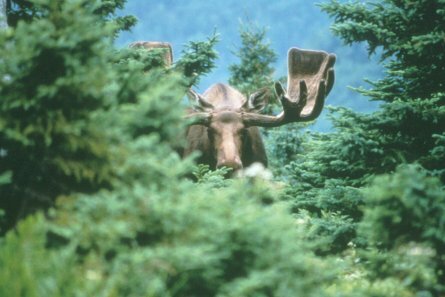 Moose on Cape Breton Island are not risk as they are the result of a re-introduction of moose from Alberta in the 1940’s. Note: This map includes locations where it was known from in the past.